Lately the Strong4Life campaign in Georgia has received a lot of publicity and a LOT of pushback. For those of you who aren’t familiar, this is a group of ads that depict fat children in black and white photography and seeks to convey how miserable it is to be a fat child. They claim that this is a “wake up call” for parents who apparently don’t know that their kids are fat and have somehow missed the message in our culture that being fat is a “bad” thing. They insist their goal is not to make kids feel bad (even though the images look like shots of hardened criminals). But it’s hard to imagine that chubby children encounter these ads via magazines, the web, television and even giant billboards and feel GOOD about themselves. But ASDAHonians should take heart. This week I’ve interviewed two amazing women who are involved in specific pieces of activism aimed at counteracting the negative effects of this ad campaign. Both of these activities are extremely easy to join and both have used new technology and social media to create a groundswell of publicity around and support for the Health At Every Size® approach to health. I’ve been aware of these awful billboards since they went up last year. I always thought they were a hateful blight on the Georgia landscape very much like the 1-800-GET-THIN billboards are a blight on the California landscape. I tend to think visually and so I was aware of how much damage these negative images can do. But I started to wonder about how I could take the negative charge of their images and turn it into a positive charge for people of all sizes. What if we could create and share positive images of people of all sizes who are comfortable and happy in their bodies? How powerful would that be? The project started with a single STANDard. (I call these images STANDards.) I just wanted to create one of me with a powerful image and statement. I had a friend snap a few quick cell phone pictures of myself, and then Nicole Peirce helped me create an image that looked very similar to the Strong4Life versions. But the image had large red letters on it. Those letters made me feel tense. I realized that the color red usually implies warning or danger or fear. This is the opposite of the feelings I was hoping to convey. So we changed the red to hot pink, which to me symbolize health and happiness and joy. Once we did that, we realized that we had a very powerful image and we posted it. So then you invited others to join you? Yes! The moment I posted the picture, I realized it was something other people could do too! Almost immediately people started asking if they could submit images too. So we just developed it as a “meme dream” and put out invitations. And I want to say something about those invitations. They are open to EVERYBODY. I have had people email or call and say they want to do an image, but they have a health issue or they are in a wheel chair or they have some other reservation. This is an open invitation. If you have a picture and something positive to say, you’re welcome. And the images have just been pouring in! Why do you think this has been so popular? There are plenty of us that are good and angry. But we want to express our anger while doing something good. This effort unites people in our movement. It’s hard to feel powerful when you feel like you are completely alone. But when you see hundreds of images of people of all sizes standing up and saying, “hey I love myself and I love my body and my life rocks!” well, how powerful is that? We take the finger pointing and finger wagging and blaming of Strong4Life and turn it on its head. 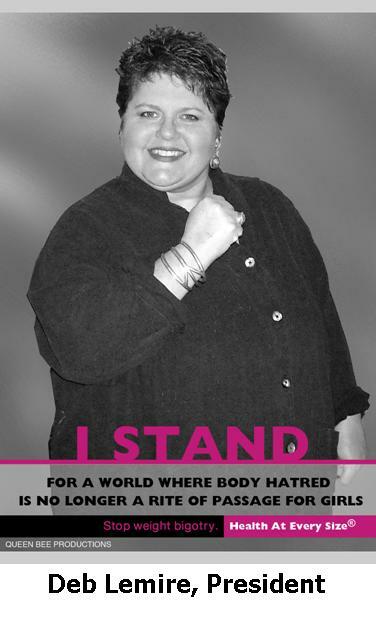 Instead of spreading fear and prejudice, we stand AGAINST bullying and FOR joy and life and health. 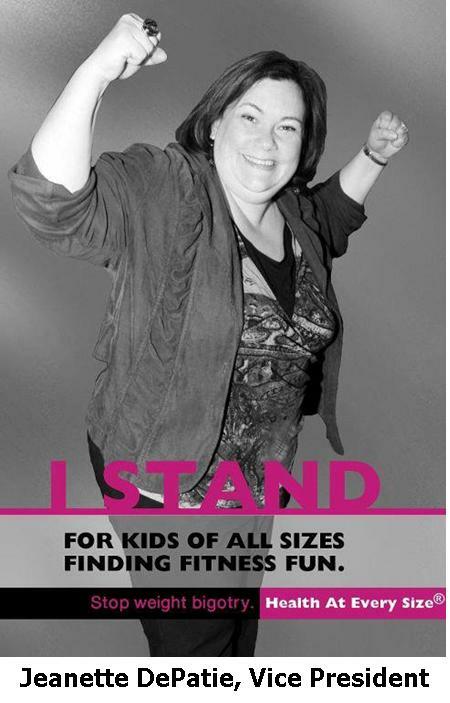 How do you think the “I STAND against weight bullying campaign” represents the Health At Every Size® approach to wellness? I think this represents the HAESSM model mostly in terms of its positive approach. It takes the approach of the pleasure principle as opposed to the punishment principle. It’s the difference between motivation and eagerness. When we are asked to do something we may not really like (which for me might be to go to the gym and get on an exercise bike) then we have to be continually motivated. But when we do something healthful we like (which for me is going for a fabulous bike ride outside) we feel a sense of eagerness. When it comes down to it, people are eager to like their own bodies. They are eager to engage in pleasurable activities. They are eager to eat delicious and sustaining foods. A HAES approach is about connecting with this eagerness. 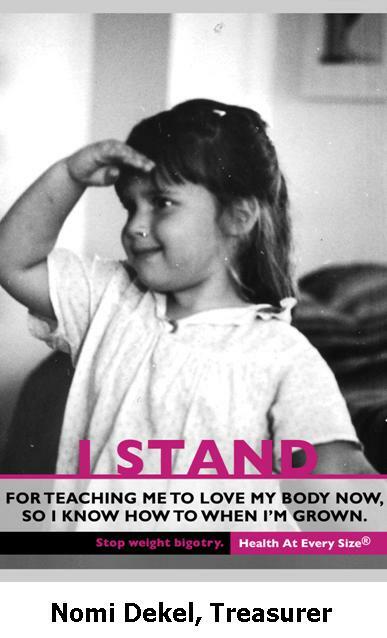 These images from dozens and hundreds of people are coming from their own hearts and express the eagerness experienced in a Health At Every Size life. People end up avoiding exercise or nutrition when those goals are motivated by shame. Enjoying eating well and exercising can come from loving one’s body and not hoping to change one’s body–core values, I imagine, of these photos and of the HAES principles. 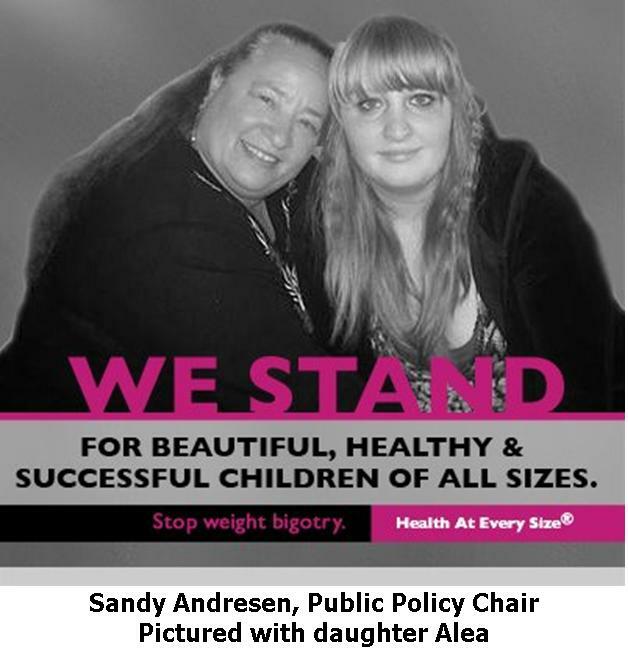 ASDAH Member, Blogger and Fat Activist Ragen Chastain has worked with several other members of the size acceptance community to create a campaign to raise money for billboards that feature a size-positive response to the Strong4Life ads. She spearheaded the Support All Kids Billboard Project and kicked off the fund raising last week. Since last week’s launch, she has raised over $12,000 for size-positive billboards in Georgia. She only needs about 250 more donors to make a contribution (at any size) to unlock a $5,000 matching grant from More of Me to Love. You can help by making a donation. I caught up with Ragen this past weekend and she graciously agreed to an interview. How did you come up with the idea for the billboard campaign? I had been thinking for a while about how powerful it would be to have positive images of fat people on billboards as a way to give people of size a chance to see ourselves positively represented in the media. I talked about my frustration about Strong4Life on my blog and someone from wellroundedmama.blogspot.com left a comment saying that she wished we had enough money for our own billboards. I felt that this would be an amazing response to the Strong4Life campaign. The next day did a poll of my blog readers and people were excited about it. The only negative comment I got was that I shouldn’t bother because there was no way we could raise the money (which the commenter estimated to be $3,000). I felt like our community was ready to do something big, and I didn’t want to be held back by the notion that we shouldn’t try something big because it’s difficult or because we might fail. Who else is working on it with you? This has been a massive team effort. Marilyn Wann from Fat!So?, Shannon Russell of Fierce Freethinking Fatties, and Rachel Adams who did our web design were absolutely instrumental in this effort. Jay Solomon (ASDAH member) and the folks from More of Me to Love also extremely generous in offering a $5,000 matching donation that was half of what we needed to raise to put our billboard up, as well as getting the word out. They are kids. They are kids and they are being shamed and stigmatized by an organization that purports to care about their health. All the while that organization is taking hundreds of thousands of dollars in donations from corporations of which they claim to be critical (Pepsi, Coke, Golden Corral etc.). They are kids standing on the front lines while adults humiliate them and call it healthcare, and we need to get their backs. What has surprised you the most about the campaign so far? I was most surprised at the speed of the response. I believed we would hit our goal of raising $5,000 in the first day but I thought that it might be a mad dash at the end of the 24 hour Big Fat Money Bomb. Then, as I prepared to get everything posted at midnight people were e-mailing me asking for the link so that they could donate. Once we launched it the support literally poured in – we raised $1565 in the first hour, when I went to bed (at 4am!) we were at $3,290. By the end of the 24 hours we were just over $12,000. If you had your dream come true, what would the outcome of this campaign be? What one thing do you most want people to know about this campaign? Right now I want people to know that we have raised enough money to put up our billboard and we are now raising what we need for other media including bus shelter signs, smaller billboard in downtown Atlanta etc. following the model created by Strong4Life to make sure that we get this message out. The More of Me to Love Matching grant is a challenge grant and to unlock it we need to get 1,000 individual donors. We are currently running a Solidarity Dollar campaign and if people want to support what we are doing. No donation is too small! 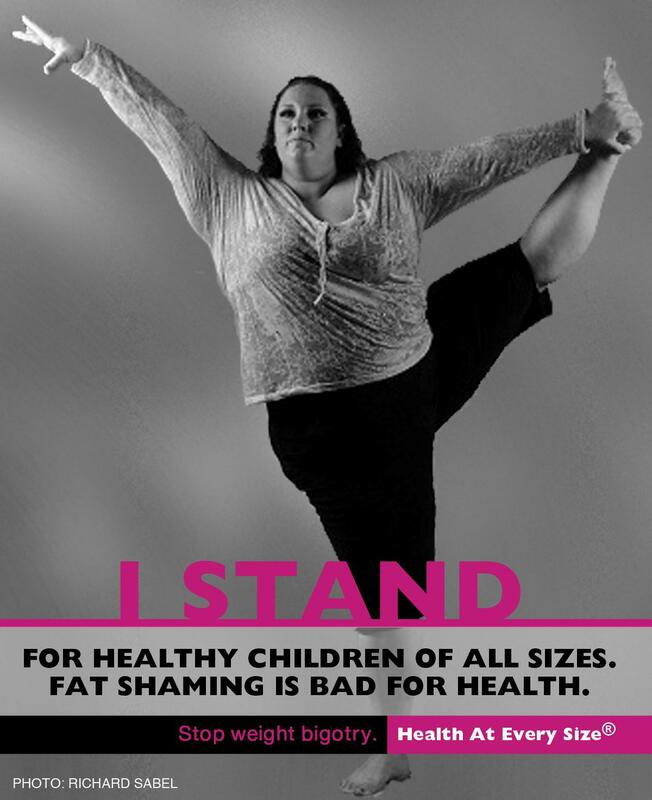 Do you think this is a good way to spread a Health At Every Size message? I think that this is a great way to spread the message. Since CHOA’s controversial billboards have made it into National Media, our response is has the opportunity to earn National Media as well. In fact we’ve already been contacted by a major network news program, BBC News, and we’ve had an article in SF Weekly. 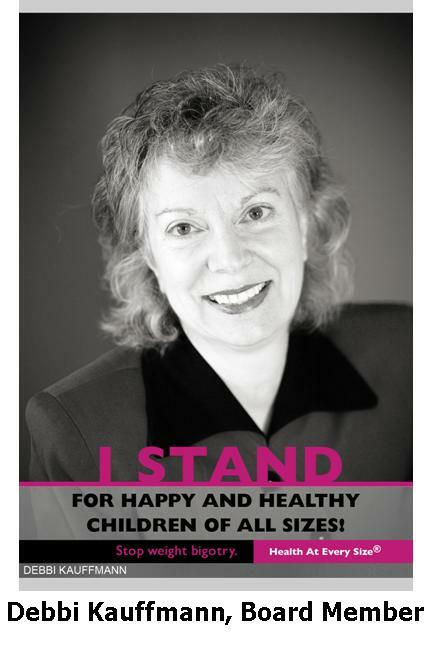 We are getting the message out that shaming is bad for children’s health, and that we can be for developing healthy habits in kids of all sizes without stigmatizing any kids at all. The Health At Every Size paradigm is an evidence-based way to do just that. Thank you. I’m reticent to start listing people lest I miss someone but thank you to Marilyn, Shannon, Jay, Rachel, everyone at More of Me to Love, NAAFA, ASDAH and everyone who is involved in this campaign. I’m so excited about what we can do for kids in Georgia and the reverberation it could have. We have accomplished something huge and we should be incredibly proud of ourselves. This is a remarkable time in the Health At Every Size movement. Ragen, Marilyn and their amazing partners (and that includes many of you!) 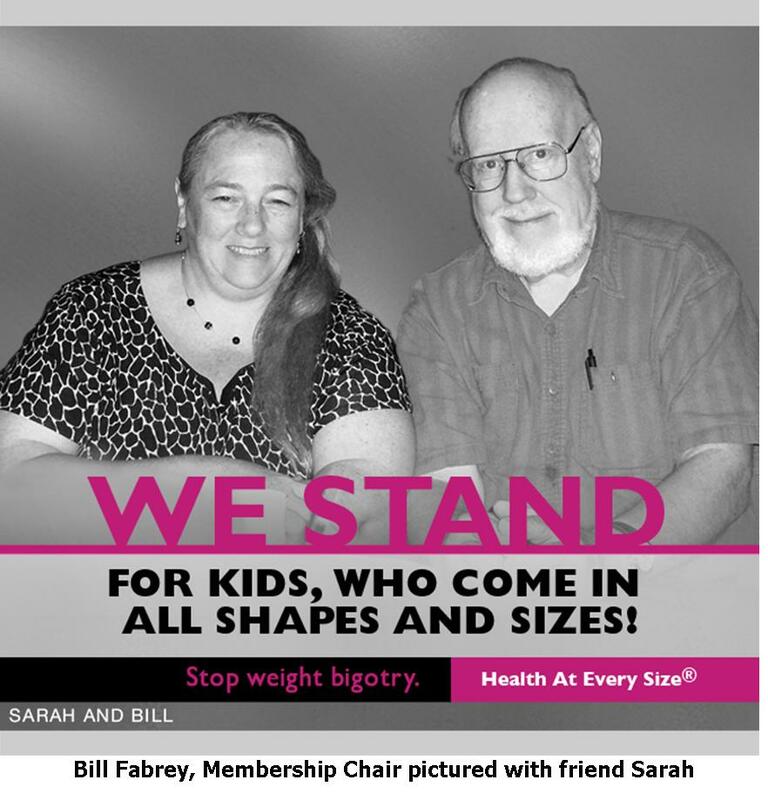 have created unique opportunities to create positive, HAES messages for kids, parents and other people of all shapes and sizes. I encourage you to take a moment to contribute just a little of your time, money, energy, voice, creativity, publicity or other resources to these amazing efforts! 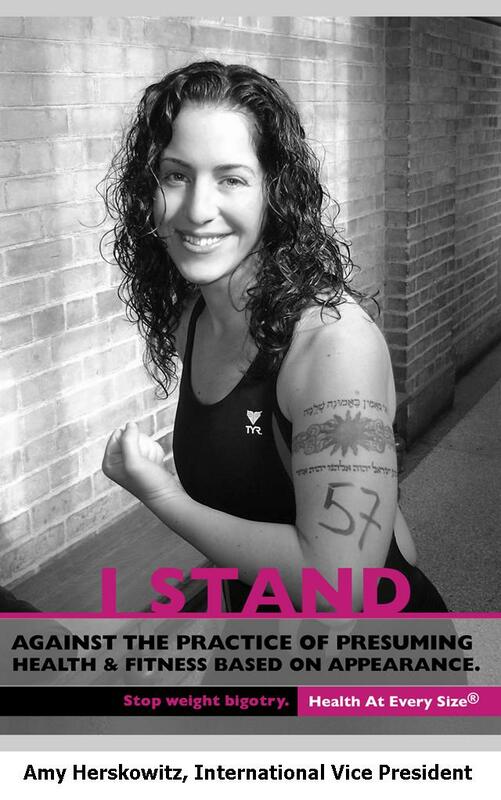 ASDAH President Deb Lemire blogged about the Strong4Life website video campaign that accompanied the billboards. 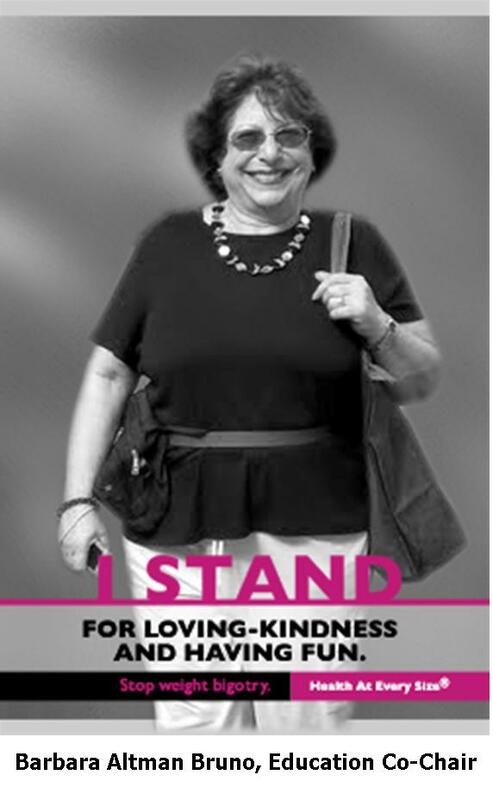 ASDAH’s Leadership Team Supports the I STAND project!